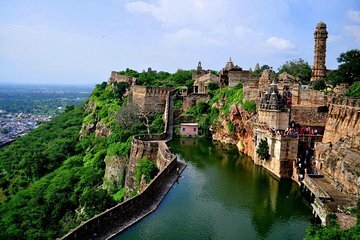 This full-day trip is the easy way to visit the UNESCO-listed Chittorgarh Fort and Castle Bijaipur from Udaipur. You’ll see how the royalty of Rajasthan once lived, and also be taken on a walking tour around a village, where you can see handicrafts being made. Enjoy a delicious lunch and dinner, as well as unlimited drinks in Bijaipur, before returning to Udaipur.